I couldn’t think of a better book to discuss to end my week of reviewing banned books. For a hilarious take on the evils that Harry Potter supposedly teaches young people, check out this article at The Onion. It is a favorite of mine. Seriously y’all. If you want to see me mad, send someone that thinks Harry Potter is evil to talk to me. Nothing gets me fired up like people trying to argue that Harry’s world promotes witchcraft, evil or Satanic practices. This series teaches nothing – NOTHING – if not loyalty, bravery and the triumph of good over evil. Anyone that doesn’t clearly see that is either a complete idiot or just plain hasn’t read the books. 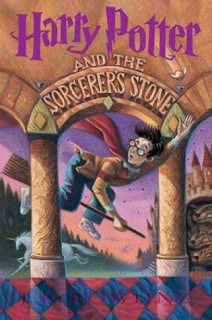 Harry Potter and the Sorcerer’s Stone introduces us to Harry and his world. I can still clearly picture the first few minutes of my life after I finished reading this book for the first time. I remember literally setting the book down and staring at it. Just staring. I was pretty young, and I remember being very dramatic and declaring to my mom that my life would never be the same. (She rolled her eyes and has yet to try reading it, I’m working on that.) I might have said that because I was young and full of theatrics, but turns out, I was right. My life has never been the same. Harry revolutionized the way I read – heck, it isn’t just me – he changed the world. The books changed young adult literature, and literature in general. The world is so detailed and exact – but so simple to learn and become immersed in. I don’t remember a time anymore when I didn’t know all the rules of Quidditch and the organization of the four Hogwarts houses. Diagon Alley and the cupboard under the stairs at Number 4 Privet Drive are real places in my mind. Owls deliver mail and unicorns exist. These statements don’t mean that I have adopted a lifestyle of Satanism and hellfire – it means that J.K. Rowling created a world I can escape to in my imagination. It doesn’t mean I think Harry’s world is a reality – it means that I can picture the details in my head. So many characters are introduced in this book as well: Hagrid, Dumbledore and the Weasley family. From the beginning, Harry surrounds himself with the most lovable and richly detailed characters ever written. In my imagination, these people are family. 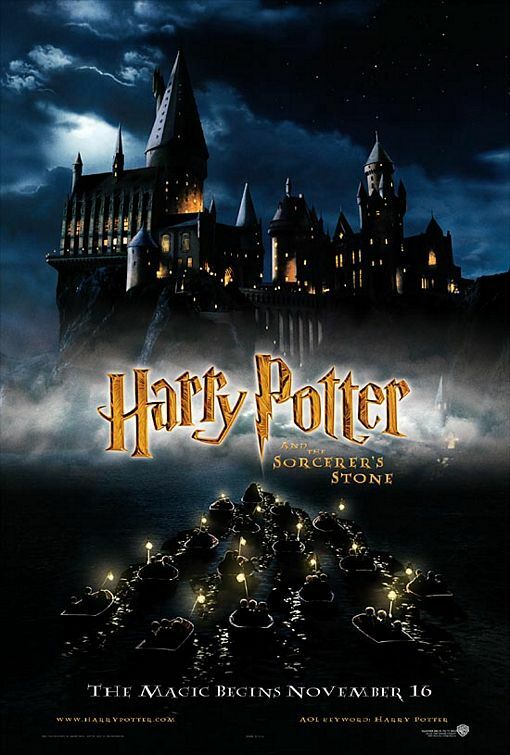 I don’t mean that I expect to be able to pick up my cell phone and call down to The Burrow, it means that when I pick up Harry Potter and the Sorcerer’s Stone, I feel like I’m revisiting old friends. Seriously, people. When we say we love Harry Potter and Quidditch and the Weasley family, we aren’t worshipping the devil. We aren’t saying witchcraft is real and that this world actually exists. We’re declaring that J.K. Rowling is one of the best authors of all time and that she created a world we can escape to in our imaginations. When I say Harry Potter is revolutionary and that it changed my life, I don’t mean that I think it is a reality. It just means I love it. Speaking personally, you can have my gun, but you’ll take my book when you pry my cold, dead fingers off the binding. I would say i can't believe they banned this book, but my mother was one of those people that said it was "satanism". I got my first taste of the series when i was babysitting twins though. They were reading the second book as a bed time story and after i put them to bed i went and searched for the first. Parents got a surprise when i went home and told them i had read 1/4th of the first book. Couldn't prevent me from read the series then. I really wish my mother wasn't like that though. I got into the series a few months before the firth book was published. My mother remained a starch supporter against it and so i didn't get to go to a book release party till the very end (Mainly because i could legally drive by myself after midnight then). Parents still won't let my brothers read the series. They'll let Noah start Percy Jackson, but not HP. I super puffy heart you…HP Rocks! This is a fabulous post and I agree with what you've said. Harry Potter FTW! In the case of Harry Potter and probably most books that upset narrow minded people, the evil is in the mind of the reader. The whole basis of harry Potter is the power of friendship and a mother's love. How can that be evil? Seriously. Dogma kills. Thanks for sharing that onion article I was dying. They have such a nack for making it sound so real.